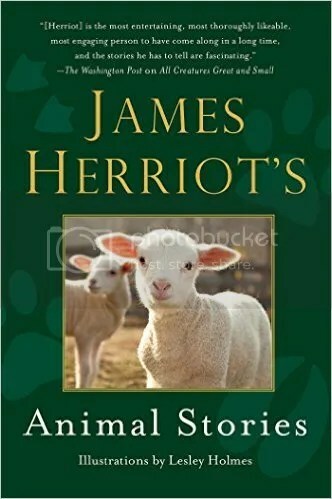 If you’ve never read any James Herriot (as I hadn’t until I read this delightful book), James Herriot’s Animal Stories is a perfect little volume to begin with, as it’s not too long but offers a very entertaining selection of Herriot’s best and most popular stories. From the very beginning, the reader is entranced and wrapped up in Herriot’s easy conversational tone about the beautiful Yorkshire dales. He describes the scenery with such life that the reader is automatically transported to northern England in their imagination. While the first few stories involve Herriot sticking his hand up a cow, pig and sheep, he imbues the stories with such enjoyment in what he does, as well as appreciating the reward in helping a suffering animal. The stories cover the whole farm with pigs, lambs, horses, cows, and even features a moving story about an old dog with eye problems who Herriot performs a simple operation on and the animal is able to spend the rest of his days seeing clearly. The stories are moving and heartfelt, making it easier to understand why Herriot’s writing and stories continue to be so popular. Originally written on July 29, 2015 ©Alex C. Telander. To purchase a copy of James Herriot’s Animal Stories from Amazon, and help support BookBanter, click HERE. Anyone who is in their right mind with a decent amount of common sense knows we’re doing a great job of messing up this planet, to the point where it may already be too far gone to turn things back to the way they were. One area we know we’ve made perhaps the most devastating impact, with overpopulation and pollution to name a couple causes, is with species extinction. 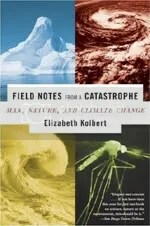 This is the crux of The Sixth Extinction from Elizabeth Kolbert, bestselling author of Field Notes From a Catastrophe. There have been a number of mass extinctions during the five billion year history of this planet The extinction of the dinosaurs is perhaps the most well known; another mass extinction before the dinosaurs almost ended all life on the planet. The reasons for these five previous mass extinctions run the full expected range from extreme conditions to natural disasters to meteors hitting the planet. But now Kolbert suggests, and has been corroborated by a number of scientists, that we are in the age of the sixth extinction where many unique species are being lost every year and it’s all our fault. 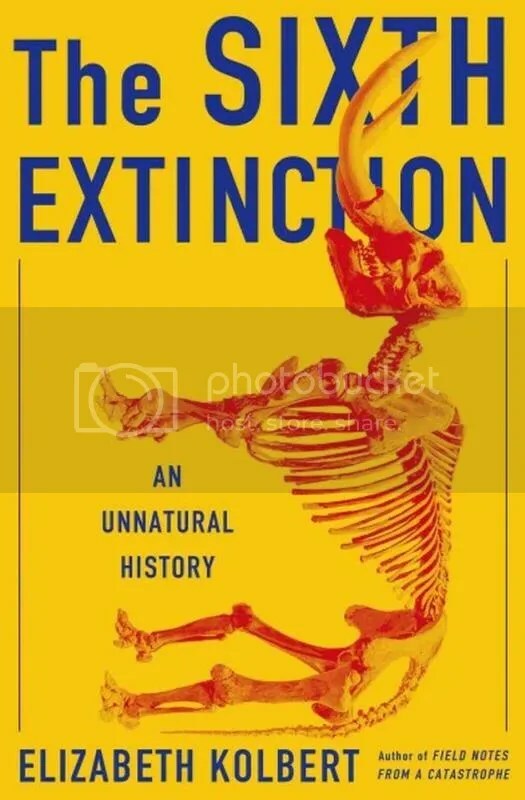 The Sixth Extinction is divided up into strong chapters that feel like entire books in themselves, each providing insight into a specific previous mass extinction, as well as some well known species that went extinct, such as the great auk and the American mastodon, and how. Kolbert also travels the world, meeting with scientists and discussing the current climate and where things lie with threats against coral along the Great Barrier Reef, bat populations in the United States that have recently been devastated due to a merciless fungus, as well as the declining honeybee populations to name a few.. The book never has a chance to slow down or get boring, because Kolbert keeps giving the reader facts and stories and perspectives that are both illuminating and shocking. It is a book that can be greedily read cover to cover in one night, or each chapter savored over a longer period of time. The one failing is perhaps there is little lesson or hope necessarily at the end for what can be done. Could this be because it is already a foregone conclusion that what happened to the dodo will happen to many more species if we don’t change our ways? Or perhaps simply learning and knowing what is discussed in the book and spreading the word about them will help change the mindset, for it is not until we as a planet work together to make a change that we will start making any great strides. Originally written on June 27, 2014 ©Alex C. Telander. Rabies. Rabid. The words automatically conger up images and ideas; ravenous animals, primarily dogs. Slavering at the mouth; demented and violent. You’re probably also thinking about Cujo, whether it is the movie or the book by Stephen King. All these ideas are correct, in a way, but few people know the whys and hows. Few know that when someone is suffering from rabies, they have an innate aversion to water; just seeing a glass of it will make them turn violent as they try to get away from it. 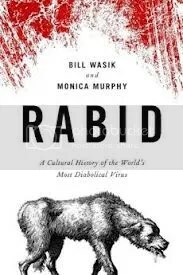 Rabid: A Cultural History of the World’s Most Diabolical Virus is the story of the hows and whys of rabies. Authors Bill Wasik and Monica Murphy take the reader on a combined history, sociological and science lesson. They go way back into the past looking at where the virus likely first originated, where it first appears in the written word, and how it has been used throughout history in writing. How the word has changed and become part of our vocabulary. Rabid is also a look at how society has dealt with the disease through time and across the globe. And finally, the authors give you the science behind the virus, how it infects, how it affects, and what exactly makes it work. It is a fascinating read on a disease that many know little about. To purchase a copy of Rabid from Amazon, and help support BookBanter, click HERE. If you’re reading this, chances are you have some sort of fear of sharks . 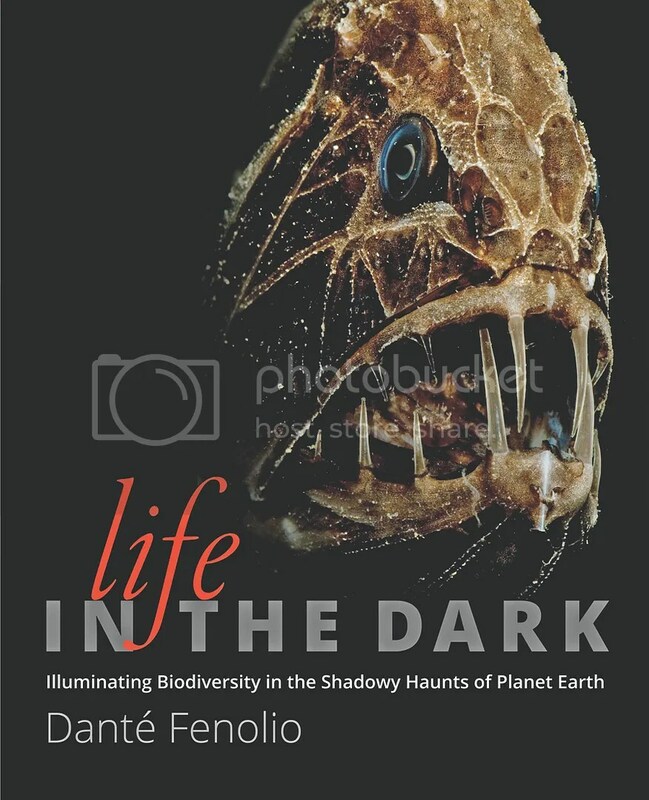 . . and maybe by discovering what Demon Fish is about, you will confront these fears, learn more about these incredible fish, and in turn come to respect them as the amazing creatures that they are. Well, if there was a book that could help you with that, Demon Fish is certainly it. Juliet Eilperin works for the Washington Post. Her first book was on politics, Fight Club Politics: How Partisanship is Poisoning the House of Representatives, but in April of 2004 she covered the environment for the national desk, reporting on science, climate change, and the oceans. If there were a comprehensive biography of the ancient, long-lived fish known as the shark, Demon Fish would qualify. Eilperin begins with an introduction of her first meeting with these majestic yet powerful and terrifying creatures, and how she grew to appreciate them. She tells the story of the World-Famous Shark Callers found on the island of Papua New Guinea, who have been hunting these fish for centuries with a ritualistic method that involves calling the shark, then capturing it; once killed every part of the fish is used in some way. But Shark Calling is a dying art, especially when there are other companies that use more modern technology to deplete the nearby shark populations. Eilperin’s chapter on “An Ancient Fish” presents a full history of the shark, starting long ago during the time of the dinosaurs when they were massive creatures feared by just about everything beneath the waves (and above no doubt), to the smaller but no less frightening versions of today. The shark is in fact one of the oldest, longest living creatures on the planet, and now has over four hundred species. Eilperin travels the world, visiting and working with different people who interact with sharks in different ways: whether it’s fishing for them, taking tourists out to see them and attempt to catch them, or tagging and conserving and protecting them however they can. She devotes a significant portion of the book to the shark fin industry, which is the biggest threat to this fish, as the restaurants of Asia (as well as many others around the world) continue to serve shark fin soup, even though it doesn’t taste of much – as Eilperin makes clear – but is a cultural expectation, not just in Asian restaurants but expected to be served at weddings as a sign of the bride’s family’s noble standing. Demon Fish doesn’t attempt to convince or convert or proselytize on the threatened numbers and species of shark around the world; Eilperin just presents the facts and realities for what they are in many different places across the globe. It is clear that things are not fine with this ancient fish, and when the likes of Jaws and other similar stories continue to perpetuate this fear of a gravely misunderstood creature, Demon Fish does an excellent job of informing and educating, making one realize at the end that the shark is simply another one of the incredibly unique animals populating this planet and has just as much right to live and breed and exist as all the others do, including the many humans who fear it. Originally written on September 23, 2011 ©Alex C. Telander. CLICK HERE to purchase your copy from Amazon and help support BookBanter. An exclusive interview with Juliet Eilperin will be available on BookBanter on November 15th. Did you know that when you’re about to be bitten in half by a great white shark, its jaws actually extend out of its mouth for a better bite, while a protective coating covers its eyelids to prevent anything poking it in the eyes? Sharks will probably be one of the most useful books that you will ever own if you like to go swimming a lot. With the detailed description and colorful illustrations, you will be able to tell your mako shark bite from your tiger shark bite. With a detailed introduction on how the giant dinosaur-sized sharks of the past evolved into the ones we know today – making it literally one of the oldest fish in the sea – as well as specifications on differentiating between sharks, the book is a useful tool for any would-be marine biologist. And once you have this pocket-sized book you can show off to your friends about the Carcharaon carcharias you ran into the other day: they’ll have no idea what you’re talking about while you’ll know you mean at great white. Originally published on March 3rd, 2003 ©Alex C. Telander. Originally published in the Long Beach Union.